Our deal hunters have the three best travel deals they could find on the market, take a look and see which of them suite your travel plans for this year. For example, you can stay at the Royal Decameron Los Cabos resort from $97 a night only and save as much as 60% off the regular rates of this all-inclusive hotel. One of the other travel deals we have here is a set of discounted domestic flights with Virgin America to major cities in the United States starting from $59 one way. The last offer from our list is another cheap flight offer, but to Honduras and with Avianca Airlines from $369 round-trip. Hurry, these offers might be gone very soon! 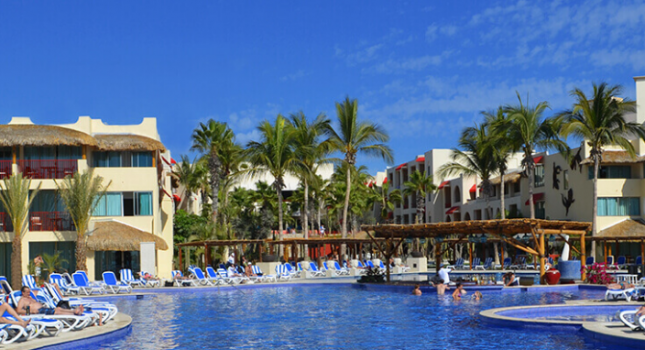 If you choose the Royal Decameron Los Cabos resort, you will not only pay a lot less than average rates, but will also enjoy all the comforts of an all-inclusive beach resort. You will get all your meals, drinks and lots of entertainment and activities included in the booking. You will find white beach, comfortable rooms, water sports, four restaurants, two pools, fitness center and a lot more at Royal Decameron Los Cabos. The discounted price featured in our list is available on select dates through the middle of spring in 2017. Choose some travel sites from the box and add the check in and check out dates you prefer. After a quick price comparison of your favorite merchants for Los Cabos resorts, you can either be sure this is the best offer out there, or find a better one. This entry was posted on Saturday, January 14th, 2017 at 1:59 am and is filed under Hotel Deals, Top Deals. You can follow any responses to this entry through the RSS 2.0 feed. You can leave a response, or trackback from your own site.